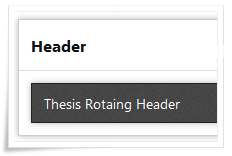 Recently I add more free Thesis 2.0 Boxes for Thesis Theme 2.0 users, so I created another one box for Thesis Theme 2.0, that one is Rotating Header Box. 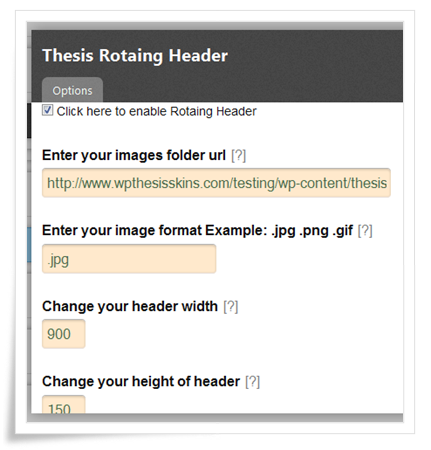 In this rotating header box will rotate unlimited images in your header section. In this box admin section, you have option to add image folder url, image height and width. 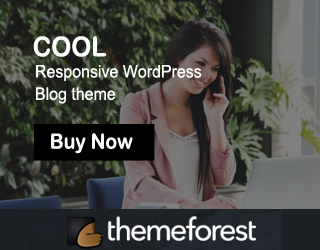 Let’s see How to use Rotating Header box in your site. Then click on that check box and select save boxes button. That’s all now you successfully installed our rotating header box. I’m stuck and can’t get this to work; I have the Agility skin, and it won’t pick up the rotating header. I’ve put the box under the “1 Column Header” container, but it isn’t working. Any suggestions of how I can get this to work? Does this box work with Thesis 2.1? … I followed the directions, but when I drag the box into the header section, I am not able to click to see the box options. Go to skin content, there u will see the box option..